How many Caribbean cruise lines are there anyway? There are several cruise lines which offer memorable sailings for your family to destinations in the Caribbean. Some of the more popular cruise lines are Carnival, Royal Caribbean, Norwegian, Disney and Princess Cruises. To date, my family has sailed with four such amazing cruise lines: Carnival Cruise Line, Norwegian Cruise Line, Princess Cruises and Royal Caribbean International. My family and I enjoyed everyone of our cruise ship vacations and left each one longing for more. However, if you were to ask me which was my favorite, I would probably say Norwegian. There was just something about being on the Norwegian Dawn to the Eastern Caribbean that was special. I cannot quite put my finger on it. Was it the large number of restaurants; several pools and hot tubs; the mere size of the ship; the ship's incredible design; or the fact that we were not assigned to a specific time with the same people each evening for dinner? As I said, I am not sure, but that was my favorite! Undoubtedly, we were impressed with the others, especially our first cruise aboard Carnival Sensation to the Western Caribbean. As a boy I would watch cruise ships entering and leaving the port in Port Antonio, Portland, Jamaica, but I never dreamed that one day I would be on one. When the time finally came, I was astounded with the size of the ship and the grandeur of its design. I could not believe that cruise lines had such huge, beautiful ships on the seas. 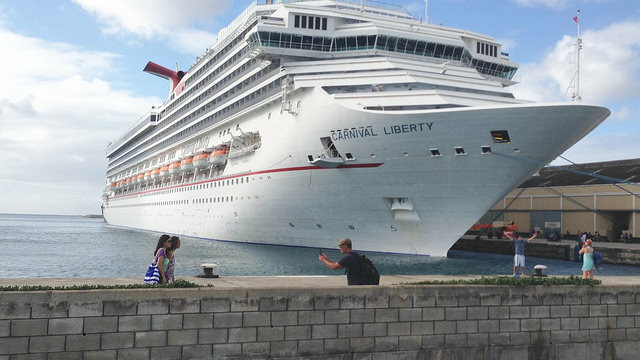 My family's second Caribbean cruise was also with Carnival Cruise Lines and the ship was even bigger: Carnival Glory. Wow! Bigger and better with more amenities! It was not until our fourth cruise that we sailed with Royal Caribbean International to the Bahamas. I had heard of Royal Caribbean cruises as being really great. My wife's best friend prefers Royal Caribbean over Carnival (she's not sailed with Norwegian Cruise Line) and has sailed with them several times. 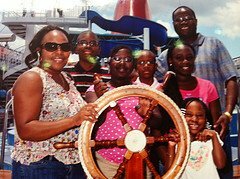 In fact, one reason for sailing on Royal Caribbean's Monarch of the Seas the summer of 2010 was to accompany my wife's friend and her family on their family reunion at sea. To be honest, I was not impressed with the cruise ship. My wife and I kept wondering if it was because the ship was smaller than those cruise ships we had sailed on. Please do not misunderstand me. Royal Caribbean International has made a name for providing unforgettable inclusive family cruises. However, our first sailing with them was not the best cruise we had had. So far, I have mentioned three Caribbean cruise lines. Let us take a closer look at your choices of Caribbean cruise lines and some of the sailings that are available. Carnival Cruise Lines is probably the most easily recognized Caribbean cruise line. It is also considered to be the "The World's Most Popular Cruise Line." Carnival is a member of what is called the World's Leading Cruise Alliance which is committed to value and quality. Carnival Cruise Lines owns 24 ships, dubbed the "Fun Ships" because of their diverse offerings of fun and entertainment. A Carnival cruise package offers activities for people of all ages and therefore appeals to people from a broad range of backgrounds. You can find several Carnival Caribbean cruises of various lengths - 4 day cruises, 6 day cruises, 7 day cruises, etc., from several ports, especially Florida - Port of Baltimore, Charleston, Port Canaveral, Fort Lauderdale, Miami, Tampa and Mobile to the Bahamas, the Eastern Caribbean and the Western Caribbean. Due to its many Caribbean cruise offerings, Carnival tends to offer many cheap Caribbean cruises. 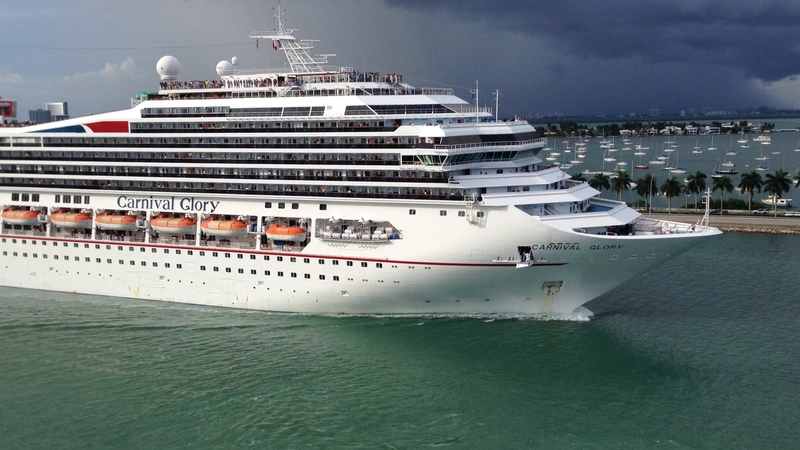 Click here to read and submit Carnival Cruise reviews. Celebrity Cruise Line is a Caribbean cruise line with its origin in Greece. In fact, its signature X is the Greek letter "chi". While you do not hear as much about Celebrity as say, Carnival or Royal Caribbean, it is a popular cruise line. Its ships are recognized for several features such as formal foyer areas, large pools and lounging areas and elegant spas and gyms. Celebrity Cruises offers sailings of various lengths - 4 day cruises to 11 day cruises out of ports such as Ft. Lauderdale, Miami and San Juan to the Eastern Caribbean and the Western Caribbean. Click for more information on Celebrity Caribbean cruises. 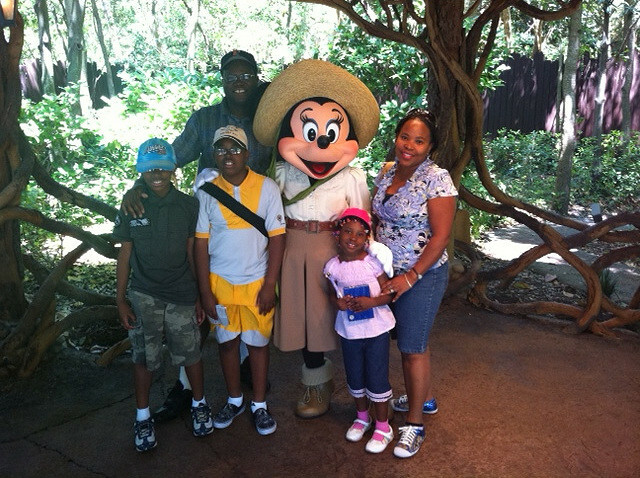 Disney Cruise Line is a very popular Caribbean cruise line for families, especially those with young children. The cruise line is an extension of Disney's parks and resorts and therefore its ships come alive with everything Disney - Disney characters, Disney children's activities and even Disney children/parents fun. Disney Cruise Line currently owns just 4 ships and offers several sailings to the Caribbean Sea. Due to the high demand and its worldwide recognized name, Disney Cruise line packages tend to be somewhat more expensive than others. However, based on reviews, your family will have the time of their lives on a Disney cruise vacation. Disney currently offers sailings of various lengths - from 3 day cruises up to 7 day cruises to the Bahamas, the Eastern Caribbean and the Western Caribbean from Port Canaveral, Miami and Galveston, Texas. 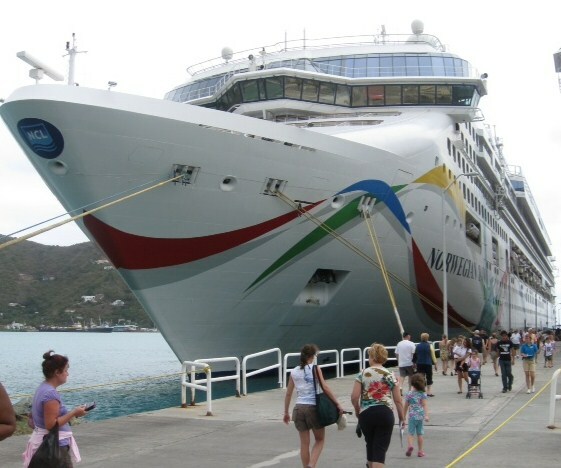 Norwegian Cruise Line (NCL) made popular what is known on the high seas as "Freestyle Cruising". This means that there is no set time for dinner, no set seating arrangement (as found on Carnival and Royal Caribbean), and no formal attire. Most Caribbean cruise lines have a night for dressing up in formal attire (not mandatory, but highly recommended). NCL does not. NCL boasts one the world's largest ships, Norwegian Epic and its fleet of ships are rife with fun activities for all ages. Norwegian Cruise Line offers sailings of various lengths - mainly 5 day cruises, 7 day cruises and even 14 day cruises to The Bahamas and the Caribbean, from ports such as New York, Port Canaveral, Miami and New Orleans. You really need to check out Norwegian's newest ships - Norwegian Breakaway and Norwegian Getaway. You will be amazed! Princess Cruises is the luxury brand of Caribbean cruise lines offered by the same company that owns Carnival Cruise Lines - Carnival Corporation & PLC. Princess Cruises was made popular by the famous television series, "The Love Boat" in which two of its ships, The Island Princess and The Pacific Princess were featured. Princess cruises tend to be more expensive than some of the others such as Carnival and Norwegian cruises. Princess Cruises offers sailings of various lengths - mainly 7 day cruises and even 14 day cruises to the Eastern Caribbean and Southern Caribbean, from ports such as New York, Fort Lauderdale, San Juan and Bridgetown, Barbados. 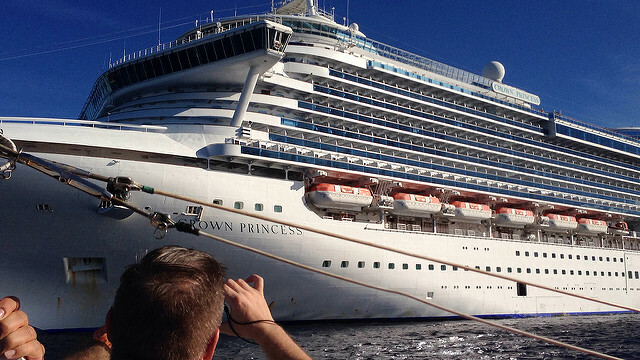 You should really check out their newest ships, the Royal Princess and Regal Princess. Simply stunning! Royal Caribbean International is another popular Caribbean cruise line. The company has 42 ships in operation and controls about 25% of the world's cruise market. Wow! 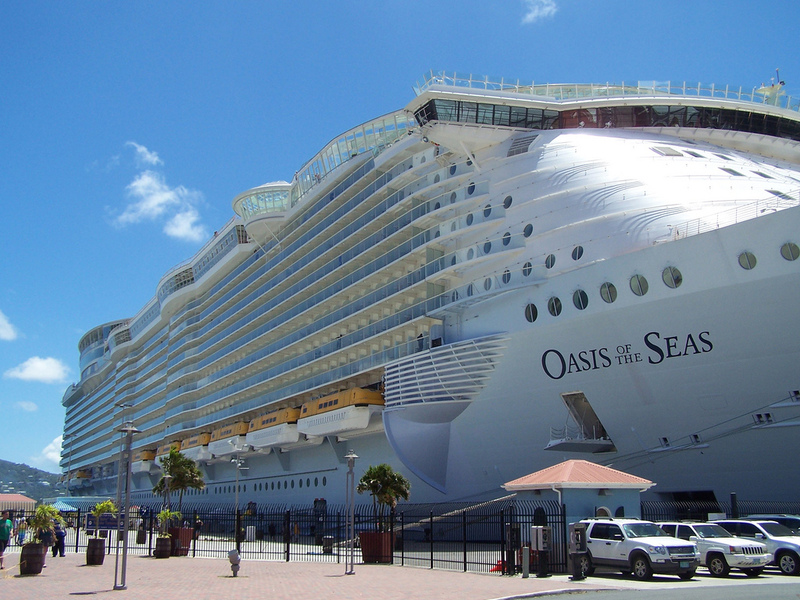 Royal Caribbean has the world's two largest cruise ships at sea -Oasis of the Seas and Allure of the Seas, both of which are bigger that Cunard's Queen Mary 2. Each ship holds up to 5,400 double-occupancy passengers. It has been said that Royal Caribbean caters to an older crowd. However, with more ship space than so many other brands, this cruise line offers a wide array of activities for passengers of all ages. Your entire family will enjoy sailing with Royal Caribbean! Royal Caribbean offers sailings of various lengths - from 3 day cruises up to 11 day cruises to the Bahamas, Eastern Caribbean, Western Caribbean and the Southern Caribbean, from ports such as Cape Liberty, Baltimore, Port Canaveral, Fort Lauderdale and Galveston. Note: Royal Caribbean has introduced what is dubbed the first smart ship at sea - Quantum of the Seas. You should really check out this one. There you have it. Some of the more popular Caribbean cruise lines. There are others such as Holland America, Crystal and Costa Cruises, but you have enough from which to choose and book your family cruise ship vacation. Whatever your family's taste, you will find a cruise line and a cruise ship that serve your family well. So what are you waiting for? 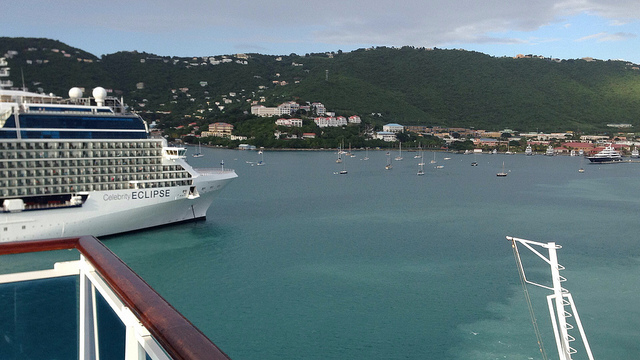 Go ahead - decide which Caribbean cruise line you are ready to bring your family on.